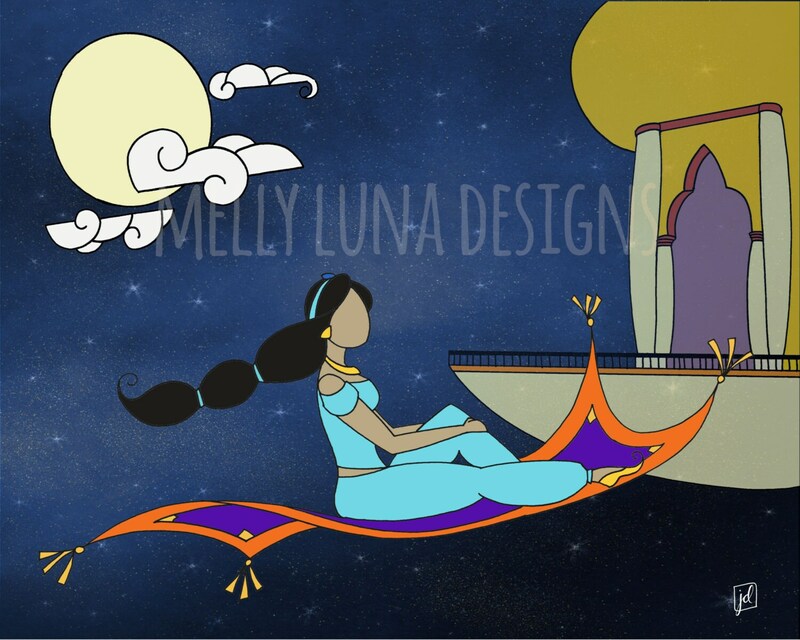 This is a reproduction print inspired by the movie Aladdin. 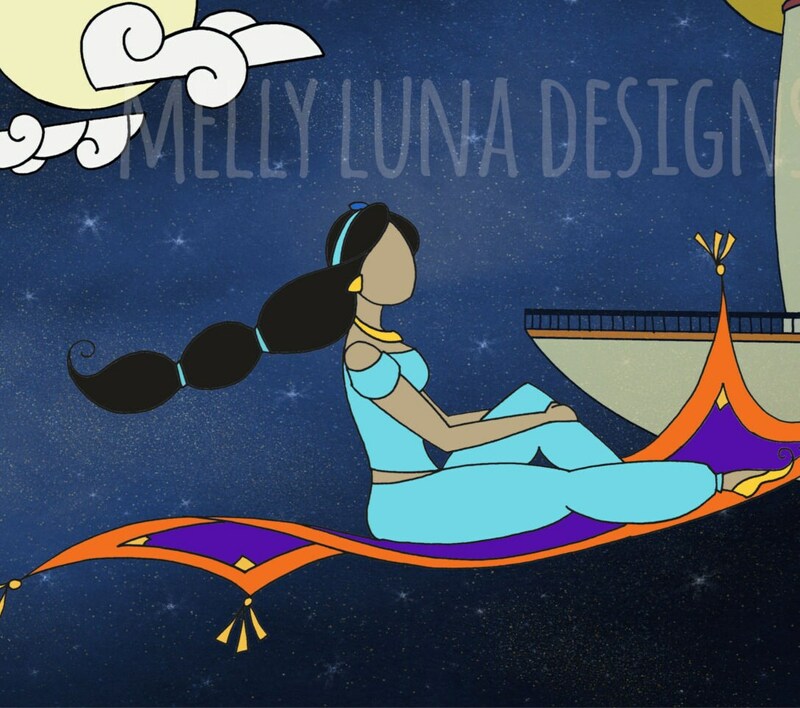 In this print, Jasmine is riding high on her magic carpet taking a view over the kingdom and super relaxed about it. The original art was created with pen and ink techniques and then overlaid on an abstract starry night background. The background is credited to Mix Pix Box https://www.etsy.com/transaction/1173791608.